More than a quarter of UK fans will stop watching the World Cup on TV once their team is knocked out, but they will continue to keep tabs through other channels, a study by Oath has revealed. Oath reported that 26% of Brits will not support any other team in the football tournament should their team leave the contest. The survey was conducted by Oath and YouGov from 9 to 20 February with a group of 7,294 respondents from England, France, Brazil, Denmark, Germany, Sweden, Italy and Spain. But UK brands shouldn't despair. There is a big opportunity in advertising against supplementary information and content in new formats outside of the big match schedule, found the study. While three in four (75%) viewers will be watching at home on TV, as opposed to just 1% on mobile, nearly one in four (23%) will be using their phones as the main way of seeking out additional information. A third of UK fans are interested in on-demand replays, 18% are keen on 360° virtual reality stadium tours, and 15% want to see a tabletop augmented reality version of the game. "Brands only have a small window where they can grab consumers’ attention while games are on, so they need to look beyond matches and engage fans seeking out supplementary information including stats, replays and interactive experiences," Stuart Flint, vice-president EMEA at Oath, said. "While some British fans will switch off from TV once their team is out of the running, they’re still likely to be keeping tabs on contextually relevant content throughout the competition." 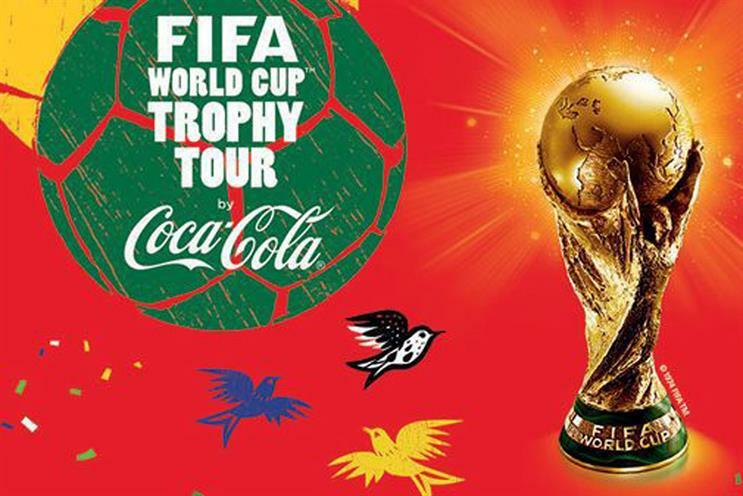 In general, the nations most engaged in viewing the World Cup are also most engaged with the sponsors too. Brazilians, for example, are most enthusiastic about the World Cup games with 48% of fans saying they are passionate about watching their team and others. In tandem, 35% saying they would be much more interested in using a brand that sponsors the World Cup tournament. This is in stark contrast with UK respondents where only 1% would be interested in using a sponsor brand, and 40% not able to name a single World Cup sponsor. When they can name one, however, big brands come to mind with Coca-Cola particularly dominant (45%) followed by McDonald's (41%), Adidas (33%), Visa (31%) and Budweiser (27%). In fact, food and drinks goes hand-in-hand with sports in the UK. Brits said they buy alcohol (38%), soft drinks (19%), snacks including crisps and sweets (33%), healthy snacks (8%), pizza (17%), burgers (6%), takeaway (19%), especially for the match. And 72% intend to pay for them via contactless or machine debit or credit card. "Understanding where your audience will be on the run-up to and during games is essential when planning a campaign around a tournament like the World Cup. Conveying messages in a creative way across relevant content for consumers is the way to cut through the noise," Flint added.